DCH the movie was rocking. It talked about various things in a youth's life. College, many loves, adventures, treks & travels, mothers & their doubts ;), et al. But now that I have reached a stage where my college is coming to an end I can identify with another aspect of the movie which had never struck me when I had seen it the first time. 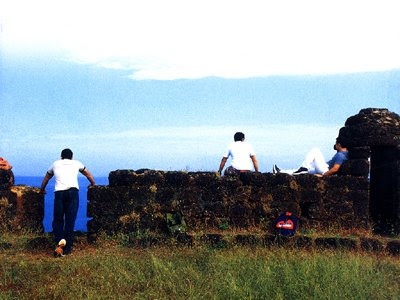 The 3 friends protrayed by Aamir, Saif & Akshay viz Akash, Sameer & Sid are so like most of us are in our college days. The fun, mazak, masti which is so much a part n parcel of being young & the thing about being a 'collegian' is excellently played by the 3 actors. Excellent. just superb.You have used minimum words to express the feeling many have gone thru and have never relised. Just fantastic. keep it up. shru its nice. simply superb.